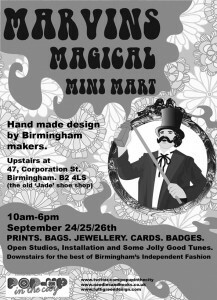 Marvins Magical Mini Mart will be springing into action as part of Pop Up Shop on 47 Corporation Street, Birmingham. There has been a lot of debate recently about Birmingham’s Big City Plan. I thought I’d wade into the debate and show my support for some really brilliant responses. Lisa and Jenny at Capsule have put their response to the plan here. I must agree with them wholeheartedly. Living and working in Birmingham can seem like an uphill struggle. 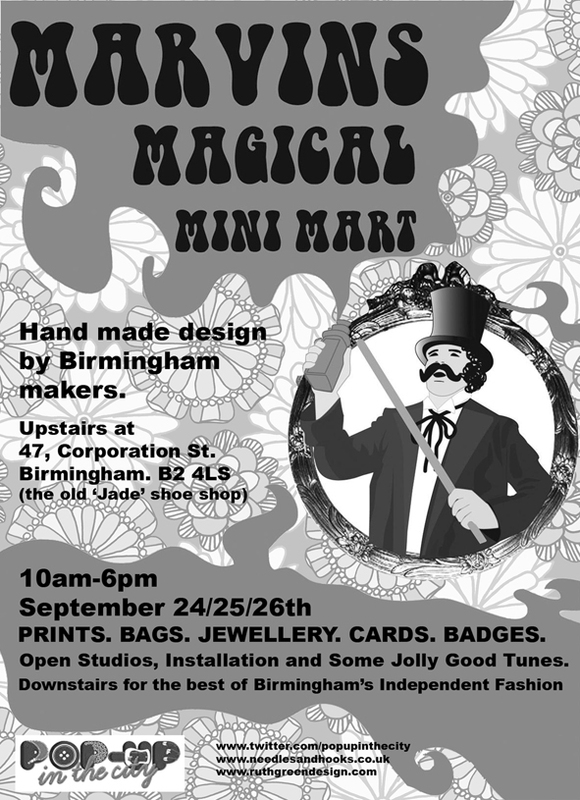 Last year I undertook a feasability study where I went to other cities to look at their designer maker scene. I visited Bath, London, Manchester, Liverpool and Bristol for a day and met with local organisations and designer makers and had a good wander around. What I found made me a bit embarrassed about Birmingham. In Manchester there was a scheme where groups of people were allowed to take over spaces in the city centre and set up shop. The spaces came with a sliding scale of business rates - super discounted for the 1st year, pay a bit more in the 2nd year and a bit more in the 3rd year. This gave those who took the spaces a substaintial cut in their costs in the 1st year - the trickiest time. As the discount ran for a number of years it also meant there was no shock rise. I know that I don’t have any answers. Craig Hamilton at Friends of The Stars has some good solutions here. I particularly like the Birmingham Sauce Company idea and have a great plum chutney recipe which could be a contender for B14 sauce. I must say that I love this city. I mean really love this city. It’s my home and where I was born and I’m really proud to be a Brummie. What is great about this debate is that people obviously care about what happens in the city. Lets just hope that the powers that be listen to what we’ve got to say.